What does it take to become an “ace”? And has anyone ever been stripped of that status? Perry Turner, Air & Space's esteemed copy chief, asks: "Can you explain the whole 'aces' thing? How did it get started, and, has anyone ever been "de-aced"? The term "ace" is unofficially bestowed on those pilots and weapon systems officers who have shot down five enemy aircraft. The label became popular among military pilots during World War I, when French newspapers christened Adolphe Pégoud as l'as after he downed several German airplanes. Raymond Toliver and Trevor Constable's 1965 book, Fighter Aces, notes that although the British, like the Americans, never officially accepted the term, "The British, French and Germans set ten confirmed aerial victories as the standard qualification for an ace.... When American air units had still not gone into action at the beginning of 1918, the likelihood of any American pilot scoring ten kills before Germany's collapse seemed remote. Accordingly, it was decided to reduce the American qualification for an ace to five aerial victories....The same standard of five now applies generally throughout the world." Even more confusing, the United States has changed the rules for achieving "ace" status from one war to the next. The Air Force Historical Research Agency at Maxwell Air Force Base in Montgomery, Alabama, describes how aces got dealt down through the years: "In World War I, a flyer earned a whole aerial victory for each of the aircraft he helped to bring down. In World War II and the Korean War, the credit for bringing down a single enemy aircraft was divided into fractions for each of the flyers who contributed to the victory. In Vietnam, if an F-4 crew shot down one enemy airplane, both the pilot and the weapon systems officer each earned a whole aerial victory credit. During the Persian Gulf War, the fractional system of World War II and the Korean War was used again." The U.S. Navy, in contrast, has never officially compiled or issued a list of aces. The Naval Historical Center notes, "During World War II, the war period with the largest number of aerial shoot downs for naval flyers, the Navy did not keep an overall record of individual scores in aerial combat, hence, there is no official list of confirmed shoot-downs." There is, however, an unofficial list posted on the center's web site. What about comparisons across enemy lines? Were German World War II aces any better than their American adversaries? Germany's Lt. Col. Erich Hartmann was credited with a staggering 352 aerial victories during the war, while the top U.S. ace, Maj. Richard Bong, bagged a mere 40. Historians Toliver and Constable examined the evidence and concluded that while German pilots were certainly skilled, they simply saw more action than their allied foes, and so chalked up higher scores. On the Russian front alone, German pilots were outnumbered 20 to 1, but they easily defeated inferior Soviet pilots early in the war (the balance shifted as the war progressed). Moreover, unlike their Allied opponents, German fighter pilots lacked the luxury of rotating out of combat for morale-building leave or new assignments. Toliver and Constable noted that the average German pilot flew 1,000 to 2,000 missions throughout the war, while the most active Allied fighter pilots flew just 250 to 400. "One American pilot with 254 missions actually fired his guns at an airborne target only 83 times, and this may well be the best record of any American pilot," said Toliver and Constable. "In gaining his 352 aerial victories, which establish him as the leading fighter ace of the world and of all time, [then] Major Erich Hartmann flew 1,425 missions. Many times Hartmann flew from two to seven missions a day.... He was involved in more than 800 actual aerial combats." 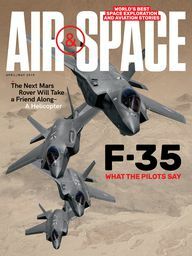 As for whether any pilots have lost their "ace" status-the answer is no, according to Daniel Haulman, chief of the organizational histories branch of the Air Force. "I am not aware of any case in which an Air Force (or Army Air Forces) member who was listed by the Air Force with at least five aerial victory credits had his total officially reduced to less than five, removing his ace status." 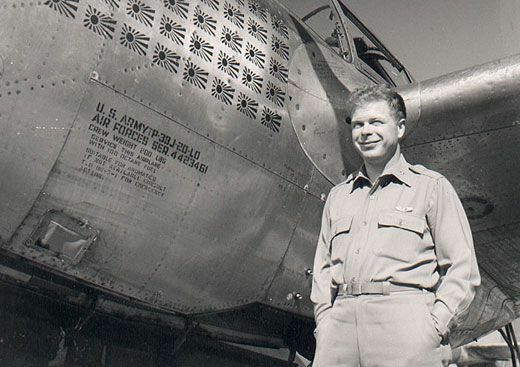 However, he continues, "There have been many cases in which someone claimed to be an ace but was never recognized by the Air Force as an ace because there was no documentation to confirm that the award of a fifth aerial victory was ever officially made." A well-known case in point: Lee Archer served with the 302nd Fighter Squadron during World War II and was awarded four aerial victory credits (AVC) during his service. He did not claim a fifth AVC at the time, although he did years later. Unfortunately, notes Patsy Robertson, a historian with the Air Force Historical Research Agency, there isn't any official documentation to validate his claim. What's required? According to Air Force Instruction 84-105, the following will validate an AVC: (1) An official order awarding it, and (2) A victory credit board report from the time showing an award of a credit. You hear that, Ace? Get your proof and paperwork in order.